describing the architecture and all instructions. Gerber PCB design files of all 9 pcb's. 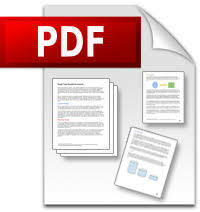 Schematics in PDF format, of all 9 pcb's. This does not (yet) include the bugfixes that were done on the pcb's. A collection of spreadsheets with quite accurate description of the signals at the connectors of the pcb's. 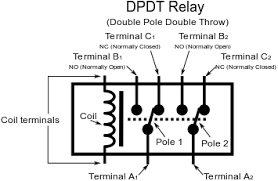 A description of the way that the relay circuits work. Includes register and ALU description. 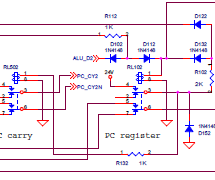 An older schematic that shows essentials of the datapath and instruction decoder. 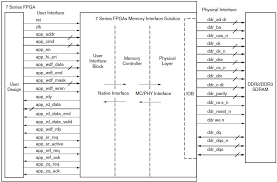 This Python script is used to program the Flash memories with the Raspberry Pi.